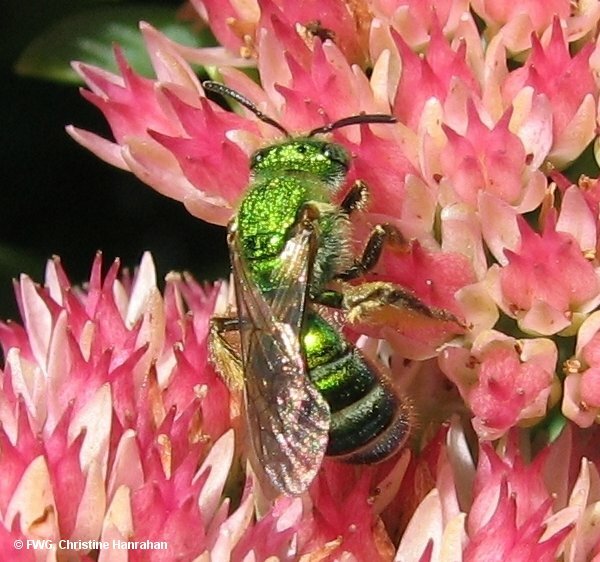 Initiatives seeking to protect wild pollinators face many challenges – as well as many rewards. One of the most common challenges involves helping people distinguish between non-native, domesticated honeybees (a species commercially managed as part of our agri-food system) and native wild bees (many different species that are integral parts of natural ecosystems). When people begin to understand the wide diversity of wild bees – to appreciate their shapes, colours, behaviours, nesting strategies, life cycles, and more – the rewards can be great. a wide diversity of wild pollinator species, many little-known, misunderstood, and in peril. Geldmann and González-Varo suggest solutions to some of the problems, specifically changing the way honeybees are managed. 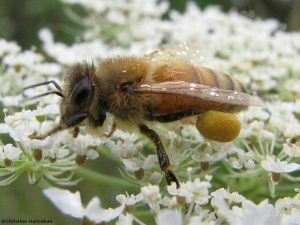 They recommend, for example, policies that limit the numbers of honeybees active during specific periods, the sizes of honeybee hives, and the transportation of honeybee hives in response to crop flowering times. They also call for controls on beekeeping in protected areas. University of Cambridge. Think of honeybees as ‘livestock,’ not wildlife, argue experts. Science Daily 2018; January 25. Charles, D. Honeybees help farmers, but they don’t help the environment. The Salt 2018; January 27. Geldmann, J., González-Varo, J.P. Conserving honey bees does not help wildlife (summary) Science 2018; 359(6374): 392-393.